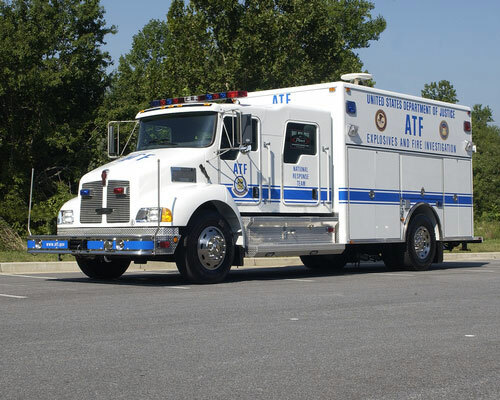 In 1978, ATF developed a national response capability to help federal, state, and local investigators meet the challenges of significant arson and explosives incidents. This capability, the National Response Team (NRT), can respond anywhere in the United States within 24 hours to assist state and local investigators. ATF has activated the NRT more than 700 times since its inception. The NRT is composed of veteran special agents having post blast and fire origin-and-cause expertise; forensic chemists; explosives enforcement officers; fire protection engineers; accelerant detection canines; explosives detection canines; intelligence support; and audit support. The team also has technical, legal, and intelligence advisors and a fleet of fully equipped response vehicles strategically located throughout the United States to provide logistical support. The NRT and State and local investigators work together to reconstruct the scene, identify the seat of the blast or origin of the fire, and determine the cause. In the case of bombings and arson fires, NRT members gather evidence to support criminal prosecutions. NRT activations include the terrorist attack on the Pentagon in 2001; the Birmingham, Alabama, abortion clinic bombing in 1998; the Otherside Lounge bombing in Atlanta, Georgia, in 1997; the Atlanta, Georgia, Olympics bombing in 1996; the Oklahoma City, Oklahoma, bombing in 1995; the World Trade Center bombing in New York City, New York, in 1993; the Alabama church arsons in 2006; and an explosion at the Imperial Sugar Refinery in Port Wentworth, Georgia in 2008. Inquiries about the NRT may be directed to the Chief, Arson and Explosives Enforcement Branch, at 256-261-7543.